Delacavoverre.com's ambition is to guide wine lovers all the way from the management of their cellar until the tasting of any wine. This site goes even further by providing all the necessary tools to ensure that people taste each of their bottles at their best. The more ideal the experience will be, the more likely they will be to remember the wine associated with the good memory. To meet this objective, Delacavoverre.com aims to provide a personalized, comprehensive and fun management system. If a lot of information about you is already online, you still need to add information about your estate and your wines to highlight them. A true search engine and source of information for users and winemakers, De la Cav O Verre references today over a hundred thousand wines references. Your current and future customers registered on this site will need your precise, accurate guidance, and your contact details, to contact you easily. Who can ensure the accuracy of this precious information better than you ! Registering and setting up your data is a completely FREE service on a simple and easy interface (registration or login at the bottom of the page). 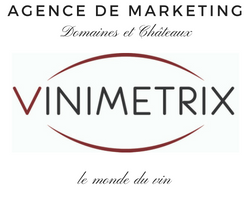 Communicate easily the information of your domain and your wines (specificity, advice, point of sale, contact details, location...) to keep contact with your customers. Highlight your wines, through the winemaker Form. Trace back historical customers from a purchased/inherited domain. Alert instantly your customers of changes related to your estate (evolution of your wines...). Which interests for the winemaker/wine love couple ? This site does not aim to substitute to the winemaker, but is a community where each user can keep in touch with you, and have access to your commercial information. Simple, fast and effortless, you can advise your customers, and guide them through discovering your products at their best, thus encouraging them to come back to you. The goal is for your customers to come back to you for their future purchases. De la Cav O Verre takes care of all the website management, all you have to do is enter your essential information and discover the services we offer.